Here is a little sneak peek at our upcoming Taylor Joelle Luxe Holiday items. “The Diane Collection” is named after Jenny’s wonderful mother. This is our favorite collection yet! It should be available in a few short weeks! Thank you Heather Telford Photography for the beautiful photos. Check out these other Wordless Wednesday blog posts and please link up your own! Very cute! Love that chevron skirt! They are so cute!!! How do you get them to cooperate so (seemingly) well!! Very beautiful pictures! Thanks for hosting! Gorgeous and love the colours! They are all so cute. Love the dresses (just wish there was a bit more length). I love the white background.Stunning photos. Oh these outfits are gorgeous! Love the colors and outfits! Beautiful – colours and outfits. Oh my goodness so adorable! 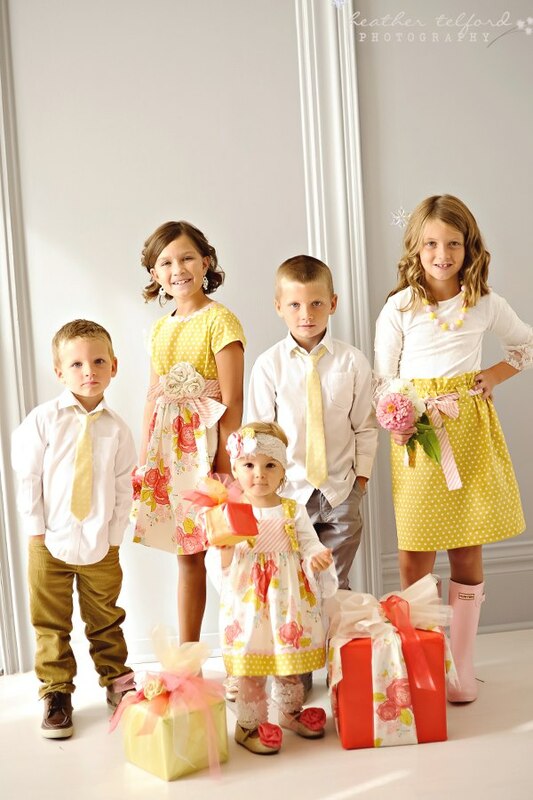 And that little one in the second picture with the adorable yellow headband…cute overload! Really lovely picture.. gorgeous outfits. 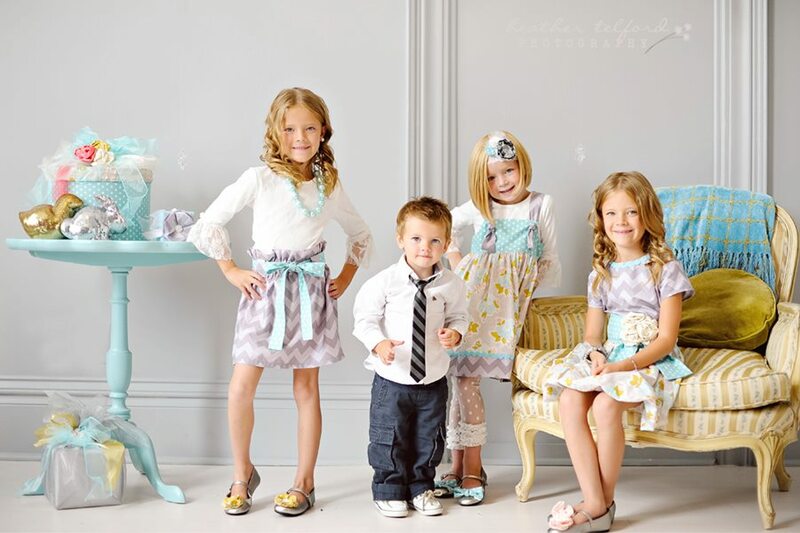 These are terrific, the layout is perfect and the kids just look great!